This song is a tad bit hard to find – one reason for that is because it is relatively new – as the lyrics were written in 1981-82 by Randy Scruggs with the score written by John Thompson. For that reason, the sheet music cannot be posted, as it is a copyrighted work. It can be found in eleven different hymnals, as well as arranged/orchestrated for different instruments and choral presentations. This song presents something that I’m afraid many Christians miss all too often and is not taught with the emphasis that it ought to be – Salvation is us individually becoming a temple, a prized vessel, in which the Holy Spirit takes up residence in our lives. We are to be THE “Sanctuary” of the Holy Spirit. At Salvation the Temple is assigned, not to be taken from us by any man, beast or being, but being the “Right” Sanctuary for the Holy Spirit to work through us, is a daily review and commitment. First, want to reiterate once again, Salvation is a ONE time event, being the usable Temple of the Holy Spirit is a recurring commitment. Each day we should consider, inspect and review where we are in our relationship with our Saviour and standing with our Heavenly Father – that is the preparation that a Born Again Believer should be reminded of in this song. 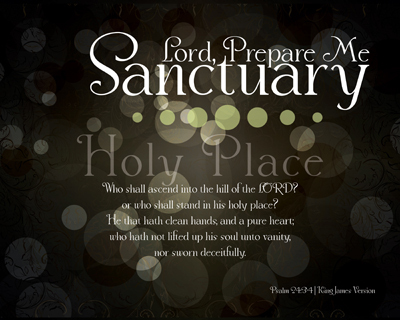 Being the kind of, effective and usable Sanctuary that we ought begins with us asking for help – “prepare me”. We are not the only ones who will recognize what is not right in us, the Holy Spirit knows and SO do we – if we will just be honest with ourselves, before a Holy God. We should have the desire of being “pure and holy” as well as “tried and true”, for each thing we do, think or contemplate has to be wash-boarded with God’s Word and our time spent with Him. Whatever is found to be in need of being removed, tried again or brought back to be considered, should be done with a Thankful heart. We are NOT robots; we live, breathe, think, sin, seek, try, ask and consider on a moments notice – which adds to our realization that we are a Living Sanctuary for God to work upon, in and through. We are given direction through the Bible on how to be that kind of Sanctuary, individuals who can go before our God in His Holy Place. The Lord Jesus Christ came to save all, not just some or a few – but everyone who will choose to Believe on Him unto Salvation. We have to recognize it is Him who knows where we are weak, is Him who provides the strength we need to do what each has been given to accomplish – we are helped by His Hand, not some other. He Leads, we are to follow. He will forgive, cleanse and set us back right – that is when we humbly seek Him, ask forgiveness and turn from those temptations. 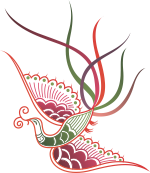 The entire song/hymn has been given in paragraph form preceding this written part of the Series – which support and explanation of our reasons for being a Sanctuary are presented in the following seven (7) reminders which are each presented in the prints of this Series. Each of us as Christians have to be aware of ourselves and our relationship with our Lord. At first glance an individual might see this song as being for the unbeliever, but that is simply not the only view that should be considered. It is powerful presentation of what we can come to understand is a fact of us becoming a Sanctuary – the Temple of the Holy Spirit. But we MUST realize also, it should be the cry of every Christian – no matter the age or spiritual maturity – we should seek to review ourselves daily in our commitment to being that Sanctuary that God will and can use for His Glory and Honor in providing a witness, spreading the Gospel, helping others in need, providing spiritual guidance, teaching, sharing burdens and every work He wants to use us a conduit to bring to pass in our lives and the lives of others. Can you sing this song? My challenge to each of us is to consider bringing ourselves low before the God of Heaven, letting Him know that we want to be the Living Sanctuary that He can use however He sees fit. Let us call out, in Jesus name and for His sake, that we want the Holy Spirit to be evident in EACH and EVERY thing we do. Others just might hear us singing… Lord, prepare me to be a sanctuary… pure and holy, tried and true… with thanksgiving, I’ll be a living Sanctuary for You. I can sing it, but not too loudly – for I know what He has done for this Sanctuary and it will humble all those that know too. The world in which we are living today has changed considerably from the environment even of my youth, which is only a mere 30+ years. While the struggles and temptations have not changed greatly, the access to more of them and them being made so readily available, has shown through as a clear detriment to society as a whole – Christian and Secular alike. A question that we see more pondered by sheer volume is about Truth, where it originates and how we can know the changes that brings about. 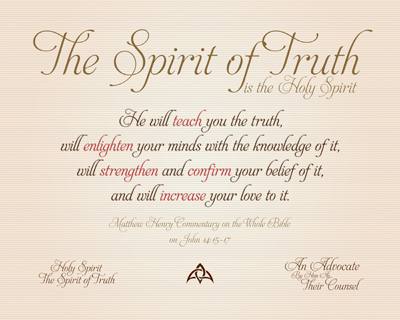 The title of this Series helps point us in that direction: The Spirit of Truth. Majority of people can relate to the example that I’ve used many times about “playing the devil’s advocate”, where we see a “bad person” on one shoulder and a “good person” on the other – both trying to influence the decision of the person in question. Some would go so far as to say “The Devil made me do it!”, referring to the “bad person” on one shoulder. Who is the one on the other shoulder? An angel? Which one? 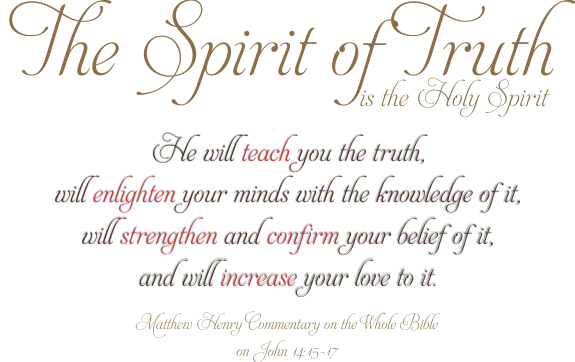 Even the world has it right in that it is the “Spirit of Truth”, but sadly they know NOTHING of this Spirit and Who He actually is. Our Lord Jesus was a Comfort to those individuals and His Disciples when He was here in person, but promised to provide us with another, One Who would reside IN us as Christians – never leaving, nor forsaking us. Just as we have to come to the Saving Knowledge of Jesus Christ, the free Gift of Salvation includes that Spirit, in residence. Who is this Spirit? We get an interpreter for the Bible. We gain a discerner of our heart. We develop a relationship with our Lord and Saviour. We are most keenly able to tell right from wrong. What is most interesting to me is the fact we have a clear picture from a biblical perspective on What and Why Jesus Christ did what He did on the Cross for us. We have the indwelling of the Holy Spirit in us as Believers so we could clearly have a conduit of access to the same God, same Son of God that those in His time, even though they had limited access to Him. We have a completed Word, the Bible, in a language we can understand. We have the Power of the Holy Spirit to do those things our weak and frail bodies cannot do on their own. We have access into the VERY THRONE ROOM of HEAVEN – which in Old Testament time was largely only possible for the Priests and Prophets. We have the TRUTH! This Series largely tells a story with each passage of Scripture used. There are a total of ten (10) prints in the set – an overall story line is told below from the four passages that Jesus spoke directly. John 14:16-17, 26, 15:26-27 & 16:17. Have we taken the time today – this very day – not yesterday, last week or sometime last month, to listen to the Holy Spirit in our lives? The day that this was written is NOT on Sunday, but have we read our Bibles? Prayed? Praised Him? Sung to Him? Next, would be this question that each of us should take a SERIOUS reality check of – how do we know that the Comforter is present within us as Christians? How would we know the “comfort” of the Holy Spirit who CAN and WILL talk to us continually if we’d let Him? As we have the opportunity each and every day we should take the time to listen, really listen to Him. My daily intake of His Word, gospel music/hymns, commentary, Christian reading material, sermons… gives many an opportunity for me to listen, but I also DO with what is consumed – by listening to the Guidance of the Holy Spirit in my doings, I’ve got someone to TRUST. Each of the actions taken can be modeled and supported in God’s Word, which is where the Truth begins – nothing I’ve been convicted to do goes against Scripture – that is how I know Who is talking to me! Where are you getting your cues? I’m not perfect for certain, but I’ve got a guidepost that keeps me on the winning side. So many things begin with a word, but our lives as Christians should begin with the Word – the Word of God, as referenced in this Series as “Wonderful Words of Life”. A Dear Friend and Prayer Partner places various hymns and Christian songs on her Facebook nearly every day of her life. She loves music, loves the Lord and thankfully loves me too! Living with the Living Word seems so foreign to people today – a lack of knowledge has led to a lack of concern, which appears on many accounts to have created a rejection to Christianity. The Wonderful Word of the Living God has lost the beauty it once had because people don’t see the Life it can give to those who will only Believe on the Saviour. Realizing we have to be careful with men’s words, this hymn simply refers to what the Word of God means and Who paid the price for it All. Do we take the Word that we read, contemplate, meditate over as being those that as the more we do so, they “teach us faith and duty?” There is verse one (1) in a nutshell. NO matter what pit or miry clay we may have come from, which today we would probably say no matter our background or situation, Jesus is Calling to the sinner with the Gift of Salvation and New Life Forever. Will we stand in the way of someone listening for His call, or can we be a part of them being able to more clearly understand. There is verse two (2) in a nutshell. Have we considered how simple and plain the Gospel message is to share? It does not take some gifted orator, theologian or seasoned preacher to share the Gospel with an individual – all we have to do is tell them what Jesus has done for us. If we are in God’s Word at a steady rate, those verses will automatically come out of us when we talk about spiritual things – it becomes natural. We each can share a FREE gift, right? There is verse three (3) in a nutshell. As Christians we have new discoveries to make in God’s Word, Truth’s that will change our lives because of the Work that a Living Word will make inside of us as we grow our Relationship with our God and Lord. It is okay for us to tell Him how WONDERFUL He is, not because He needs to know it, but because we need to be as Christians better capable of being able to show it. I’m not certain that we will EVER know it all – simply because there is SO much that He is to us already, that we could make every waking moment discoveries of Who He is to us even now. There are many words that could be used to describe God and His INCREDIBLE Nature – but we do not have the adequate words to do so. The following is a list of Wonderful Words that are used in the Bible to teach us as Christians about Him. These are just the beginning of the Wonderful Words the Hymn starts us out thinking about – we have an entire Bible to discover for a lifetime. What “words” have you and I spoken today? Plain and simple question that has a far reaching and impacting outcome. Bro. Bliss wrote the words to the Hymn which this Series is based upon so he would have a song to sing about the Wonderful Words he was able to read. Today, less and less of our culture thinks about “religious” things, so as Christians we may be the only “Word” produced item they get to really “see”. 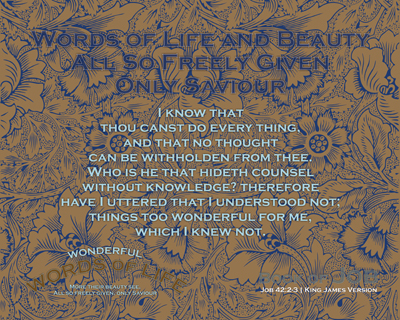 Do we see God’s Word as “beautiful” and “wonderful”, having “life” in them? This Hymn is not just for the “non-Christian”, it is for Encouraging the Saints, providing an “up-lifting spirit” to those who may have temporarily lost their way or may be questioning a Faith which has grown foreign to them from years of neglect. It may even be that this Hymn needs to be “seen” in each of our lives to reassure those that are in the trenches that there are Christians, like them, who are in the labor of the harvest. You’ll find that the Scripture that supports this Hymn are AMAZING and TRUE to the words He speaks about – Amazing how God shows up in His Work, isn’t it? Share the Word that has been Given to us by the Very ONE that made us – for they are Wonderful Words of Life! This study has been absolutely AMAZING! What then, you might ask, has me all excited? Discovering things about God, the Holy Spirit and my Lord and Saviour – is EXCITING! Now, with this exciting study comes some real responsibility, to present it and share it in the most appropriate manner. The starting of the concept for this Series began with the consideration of a Christian song which has a name of God in it – El Shaddai. …I am the Almighty God; walk before me, and be thou perfect. 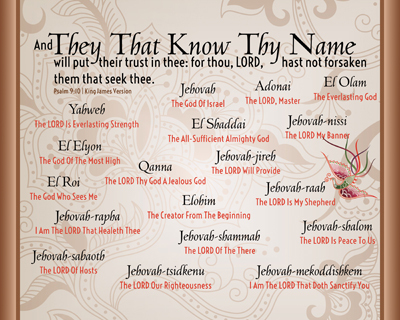 It is Hebrew actually… It is HIS name and you will NOT find it in the King James Version of the Bible. I’ve just walked into a hornets nest, haven’t I? Before anyone goes off thinking I’m off my rocker about going soft on my biblical stance or abandoning the KJV, read the Series first – you will get my point, because it is loud and clear. What was discovered was very eye opening and fulfilling – each of the Names the Jews referred to as God has a deep rooted meaning and rich history behind each one. The Names are tied to events, places and times where just the mention of that particular name had meaning to all that heard. In a word, their Faith in God could be demonstrated by what Name they called Him. They were and are Precious, Reverent, Holy and Honoring recollections that not only told a story, but were and are used to teach generations about events they never had the opportunity to be a part of when it actually happened. The rich heritage and significant historical meaning requires that we do more than just have our Bibles in our hands, we must be willing to do some digging in what we have remaining of the Old Books and our Bibles to see how those names shaped the history of God’s People and have ultimately became available to the Gentiles as well. Once those correlations are made and more clearly understood, a whole new realm of history and understanding of just how INCREDIBLE our God is begins to emerge. Just as we can walk along the same paths that the Disciples took, out Saviour walked, if we are so blessed to go to the Holy Land in our lives – we can catch a glimpse of how WONDERFUL and MARVELOUS His Names are. The following nine (9) meanings present us with a written piece of explanation that we may not have ever considered before.